At each stage in a child’s development, your role as a parent changes. The support, encouragement and type of interaction your child needs from you is constantly adapting as he grows. Things that were important at 1 may loose significance when he is 2. As a parent, you need to modify how you behave towards your child to meet these ever changing needs. Words, words, words. 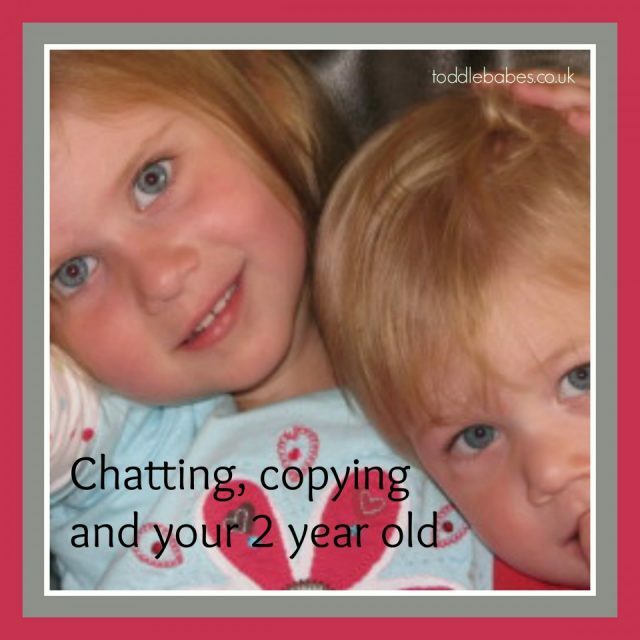 2 year old children need a lot of talk. It helps them to understand the world better, to learn language structure, to learn how to communicate appropriately and to become integrated socially within his community. Talk to your child lots, even if she is too young to understand you yet. Explain your actions out loud while you do them, even if it is only changing a nappy, washing dishes or taking out the bins. Your child loves the sound of your CALM voice. Tone is important here. Children are more receptive to instruction that is given in a positive and gentle tone than in anger. Studies have shown that even very young infants are able to recognise their own parent’s voice amongst a group a voices and react accordingly. Conversation, however mundane it may seem to you, stimulates his thinking skills, and soon he will be able to process what you are saying. Singing songs, reading books and reciting rhymes all serve to enhance your child’s linguistic ability. If you don’t feel like talking, perhaps a little singing session or a comfy time out reading books will benefit your child immensely. Taking the time to read in front of and to your child has been shown to positively impact your child’s learning when he reaches school age. If you make reading a part of his life, then it will be less of a chore when it becomes a requirement later on in life. Songs are another great way to have fun and learn. Music relaxes both you and your child and can be a great source of enjoyment. Your children don’t care if you sing in tune or even if you know all the right words..they will love having a go at singing both popular music from the radio and those tried and tested children’s favourites. Children this age copy what they see others doing. He will copy your tone of voice, what you do, what foods you eat and how you behave towards others. A parent who shouts a lot is likely to have a toddler who shouts back. If you remain calm and rational, your child will learn these coping mechanisms himself and as he grows, should use these himself. Do as you want them to do. The old saying “Do as I say not as I do” is not a viable recourse with small children. They cannot yet comprehend that parents may require them to behave differently because they are children.It just seems unfair to them. Certainly there are rules especially with regard to bedtimes etc which are child only rules and parents are exempt from these, but if you don’t want your child to sit all day watching telly, don’t do it yourself. Lead by example. Show them and take them along on activities and do things together. Your relationship and your health will benefit . If your child see you modelling the right way and learns the importance of healthy food, physical activity, and taking time to sleep and relax at an early age, he is more likely to continue these habits as an adult. Join in physical activities-your child is almost ready to start learning sports like football and dance and can already begin to learn about their bodies from participating in these and will begin to view exercise as a part of life rather than something one has to do in order to be healthy. The desire for physical activity should and does come naturally to small children, as adults, we need to nurture this desire and ensure that it is encouraged to be part of the daily routine. To many teens and young adults find themselves battling obesity because exercise has always been a daunting pass time. Teaching them to love exercise will impact greatly on their adult lives. Seek out positive role models for your child. If your child is going to be starting at a preschool or other childcare setting, make sure that the role models he will be exposed to in the form of the other adults, and as far as possible, the other children will be positive. You may need to carry out surprise visits to ensure you are getting the full picture as some providers can be good actors while adults are about and behind closed doors behave entirely differently. In all you do, remember; those little eyes are watching you, those little ears are listening and hearing all you say and he is learning from you how to behave.